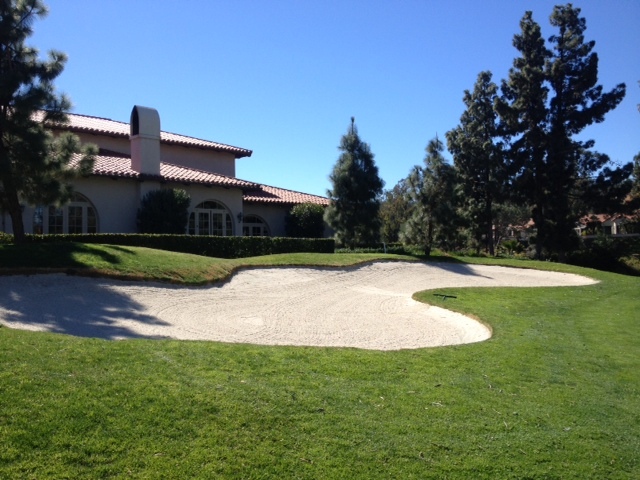 Just as the classic short par-4 10th at Riviera Country Club in LA tests the pros on tour, No. 9 at Rancho Bernardo Inn offers its own set of temptations, options and risks. The temptation is seeing the green 306 yards from the back tees and grabbing driver – thus ignoring the sizeable pond and pine tree on the right – and going for glory. Rancho Bernardo Inn Director of Golf Blake Dodson says this option has progressively paid off with time thanks to advances in club and swing technology. For the same reasons, the risks have also changed – for the golfer and the course. “With the modern equipment and the modern swing, it’s a very attainable golf hole,” Dodson says. “In 1962, the year we opened, the driving average on tour was 240-250 yards. You used to challenge the hole and the water would come into play. Yes, a tee shot flying the green and ending up in the landscaping is a legitimate concern these days for talented and well-equipped players. “A better player can get there with a 3-wood,” Dodson says. The reward is a possible eagle or even birdie. The risk, for most of the recreational field, is a ball in the water and a sour end to the front nine. “I’ve seen a lot of watery graves and good scores lost there,” Dodson notes. But Dodson says there is a time and place for the driver play. But he cautions about OB left. For his part, Dodson espouses a layup, especially after a birdie on No. 8, a very attainable par-5. “You want to give yourself the best chance of that birdie/birdie finish,” he says. That means playing to set up your most comfortable second shot. And that avoids the most common predicament Dodson sees, which is a driver that doesn’t quite reach its destination. As far as Dodson is aware, no one has ever holed a tee shot on No. 9, but he says that’s only a matter of time. “I expect we’ll see an albatross there,” he says. However, that soon may become a bit bigger challenge than it is now. To help No. 9 stay challenging in today’s equipment environment, Dodson says the course is looking at lengthening it. Some golfers may not appreciate that, but the Aragon Ballroom and the cart barn certainly will. This entry was tagged Blake Dodson, JC Golf, No. 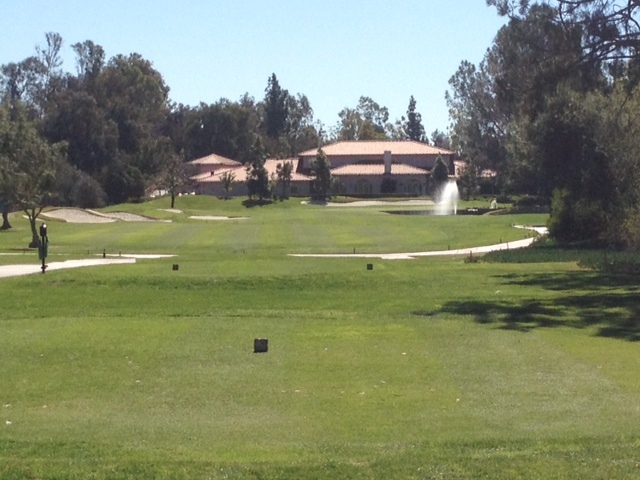 9, Rancho Bernardo Inn, Riviera Country Club. Bookmark the permalink.